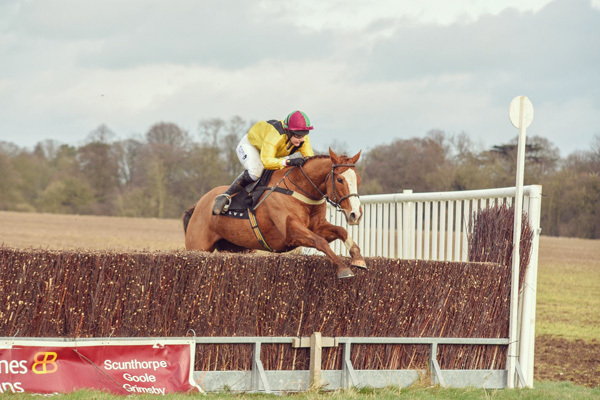 We are delighted to be sponsoring Jacqueline this year, a talented jockey and point to point trainer. Jacqueline had her first Point to Point win on the legendary Silver Groom which was trained by her Uncle – David Easterby. Her first flat win was aboard Compton Plume at Thrisk trained by her Grandfather – Michael Easterby. Jacqueline has had great success riding under rules and has ridden winners for high flying trainers like David Pipe, Gordon Elliot, John Quinn and Tim Easterby. Jacqueline has also won the most prestigious Ladies Race there is – The Queen Mothers Cup held at York where the winning jockey wins their weight in Champagne. Jacqueline, however, is far more at home when she has a fence in front of her. She finished 3rd at Cheltenham Festival in 2012 on Wedger Pardy trained by Kim Bailey in the Cross Country race. Also at Cheltenham in 2012 she won the Ladies AGA final Hunterchase race on the Legendary old timer Amicelli at the age of 13. She has been Yorkshire ladies point to point champion 5 times and in 2013 was Yorkshire’s first National Ladies point to point champion. This year Jacqueline also takes over the reins from her mother as point to point trainer, so an exciting season to look forward to.